I saw a tutorial for these cute criss cross cards on SCS, and I finally got around to trying one! We will be doing one of these using Christmas paper in an upcoming class, oh loyal customers! Instructions are taken from SCS, courtesy of Beate Johns. Step 1. Score both 4 1/4" x 11" pieces of cardstock at 5 ½" (sage shadow). Step 2. Take one scored piece and cut it diagonally from center top to the bottom left. Step 3. Take the other piece of scored cardstock and cut it diagonally from the center top to the bottom right. Step 4. Add tape to the rectangle back of one of the cardstock pieces. Step 5. Tape both pieces together. Make sure both long edges of the diagonal sections are on the bottom. Step 6. Cut the patterned paper (Enchante) in half diagonally. Step 7. Adhere it to your card front. Step 8. Add sticky strip on the bottom of the middle panel, as well as on the bottom of the triangle flap that will be on top of the card. Tape the card base together and set aside. Step 9. 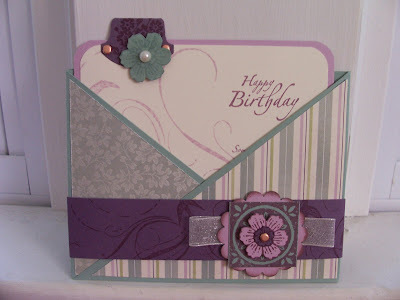 Take both pieces of cardstock for the insert and use the corner rounder on the top corners. Step 11. 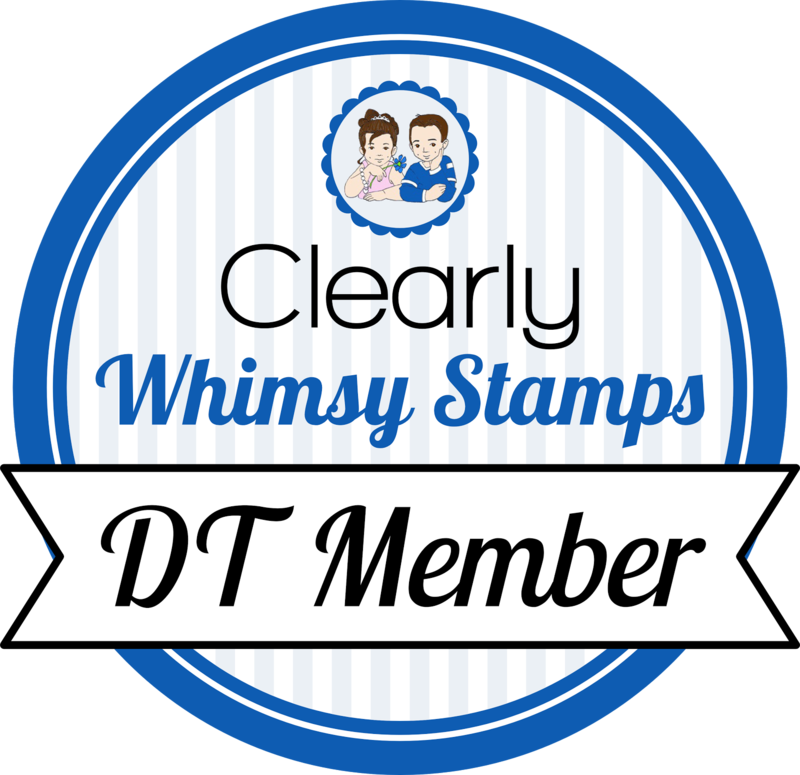 Stamp and add tab and other embellishments as needed. Step 12. Take the 1 1/2" x 12" piece of colored cardstock and score at 5 5/8" and 11 1/4". Step 13. Add sticky strip to the end of the strip with the small 3/4" scored section. Tape band together. Step 14. Decorate the card band. Step 15. Your card is finished! super pretty- love that Enchante' paper- wish they didn't retire that one in those colors- the new version is nice, but i'm a sucker for browns and pinks! This is such a great card..Love it..